Ok I really LOVE this tunic. It is perfect for Fall. I love the oversized fit and the fact that it has pockets! I ma wearing extra small. It also comes in one other color. I can not wait to wear this in the Fall. Also I am in love with my new Steve Madden shoes. I can't stop wearing them. They sold out so quickly during the Nordstrom sale but I was so happy when I found them! They go with everything and are great for transitioning into Fall. Thanks so much fro stopping by. Sorry about the lack of posts lately! There will be a huge Instagram roundup coming this week! But we appreciate all of your support so much. Totally cute and laid-back outfit, I'm loving it! I adore the colors of this tunic, you're right-it will be perfect all fall long! 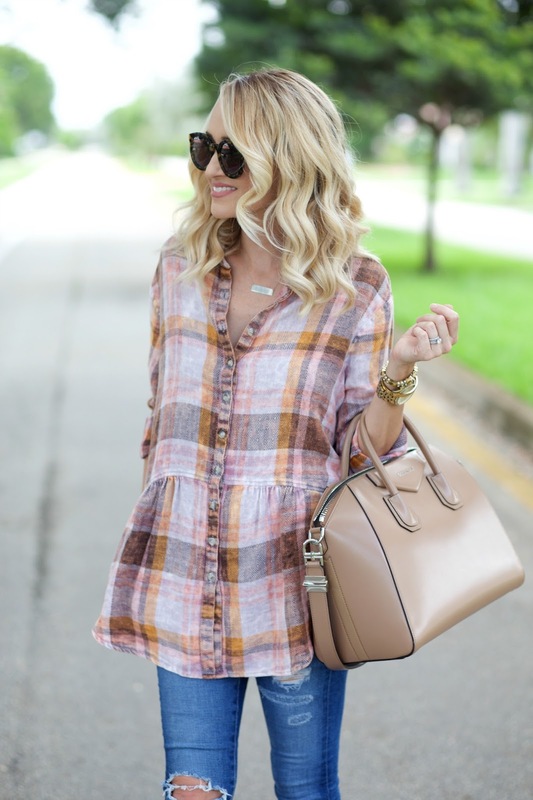 Loveee that tunic! So perfect for early fall looks! You look amazing in these soft colors! glam up my ootd. Now while I'm at it I have to look in these reviews on Urgent Essay Writing about my articles so I can finish them up and out I go, it's Wednesday night here and it's girl's night out! Place this points in mind strikingly.com/ Leo PlayCard APK is not gettinged for downloading on Website Google play shops, so if your aspiration to use Leo Playcard Free Download for Android Smartphone APK App it after that you call for downloading it from Leo Playcard our website imperial apks or Leo Playcard APK anywhere else.